Sounds pretty arrogant, but I thought I’d seen it all. My role in leadership and management development had led me to learn many models designed to help us understand, more clearly, the human condition. I had collected licensed training course like smarties ™. I have trained in many areas over the last 15 years: MBTI ™ , MBTI step II™, OPQ 32™ , Situational Leadership™, Neuro linguistic programming ™, Cognitive Behavioural Therapy (I am not sure if this is a Trademarked product but you get the picture? ), Project Management (APM), Mediation, Insights Discovery ™, Firo B ™, Person Centre Counselling, coaching – the list is endless. I have worn these qualifications like a badge of honour most of my adult life.I recall, early in my relationship with my now husband, I was studying to complete my level A & B qualifications. To the uninitiated, level A and B allows the practitioner the ability to deliver psychometrics to the workforce for both recruitment and team building. Yes, I am that person to whom John Bishop glibly refers in an episode of QI where he disparages the art of training away days (Series 9, Episode 3, see reference at the end that will take you straight to it) and wonders at the motives behind the exercises that we trainers make our delegates undertake. He describes his experiences much like a form of Chinese water torture, albeit this activity (unlike training away days), in his eyes at least, has a point. Bishop refers to the use of picture based exercises to deal with pressing corporate issues in a way that shows he fails to see the value in what we do and I don’t think he is alone. Stephen Fry, at the end of the montage, claimed “there are many people on earth that need to be killed and nearly all of them are Management Consultants.” Ouch. If that’s how people view us then what am I striving for? My psychometric training focused on two areas. Level A is ability based testing – verbal, numerical and abstract reasoning and level B, personality based psychometrics. Level A training was undertaken as part of a European funding pilot whilst I was working with the long term unemployed in Wythenshawe, Manchester. I was sat for a week in a drab and dreary room at Hyde bus depot whilst I tried to make sense of the statistics before me, pretending that I knew what the trainer, a pleasant man called Dean, was talking about. The room was the colour of coffee, or perhaps it was simply yellowing from the pre-smoking ban nicotine it had been subjected to across the decades, never the less as I recall it suited my mood, which after all those stats, was on the floor. Level B was a different story, we were taken down to Weymouth in Dorset, for some reason I still cannot fathom. About 10 of the selected special few from my organisation gathered in Moonfleet Manor (where the famous smuggling novel is set) to learn all about the 16 personality factors, a trait based profile that gave you degrees of strength of personality based on the Big 5 (which oddly, happens to spell CANOE – Conscientiousness, Agreeableness, Neuroticism, Openness & Extraversion). I remember sitting in the conference room at said Moonfleet Manor from 8am to 8pm learning about, what I thought at the time, was everything I needed to know about personality and what it is to be human. During this course I discovered that an eminent psychologist/s sat down and looked at all the words in the dictionary that described personality and distilled them into this well known and widley used personality profile. Aahhh, I thought, this is it! I remember, on my return from Weymouth, showing my work proudly off to my boyfriend (now husband) after too much blue nun. I reached into an embarrassing hard back brown brief case I used in in my early career, to pull out my weeks hard work. Brandishing my training materials in a trophy like fashion I stated loudly this was my calling, and it was. How could I not have realised, why did I not know that psychology was my thing, until now? He was bound to be impressed right? I remember his response, deadpan and delivered with grace……, what is this psychobabble of which you speak? I spent at least the next decade, and more, acquiring qualifications, seizing on every opportunity to (as I saw it) better myself, be more well-rounded, more able to impart my knowledge and proudly say I have arrived. But that day never came, the more I knew, I felt, the less I knew. For a while, I gave myself the grand title of psychometrician (which is a made up job title to give me ideas above my station if I am honest) Somehow the models I learnt each time I went on a course felt all too familiar. I have heard or seen this before I thought. A friend of mine’s favourite saying was “same dog more hair!” The penny did not drop even when undertaking the licensed accreditation for OPQ 32. Now, instead of 16 personality factors they had 32! Unlike 16pf, this was occupationally based (we obviously had more personality at work?) and this profile showed how your ‘bigger’ personality manifested itself at work. Goodness, who was right, I became more and more confused? But always my mind was awash with the theory and how I might make it come alive, however similar it was to the last one. I guess imitation is the biggest form of flattery and humans after all, are great imitators. In a study of Japanese macaques, Atsushi Iriki (2003) observed that the monkeys could use their brains to obtain food using a rake in a creative way previously un-shown. The experimenter showed the monkeys how to rake the food using the forked side down, soon enough the monkeys realised that they would be more effective if they turned the rake the other way around so the food didn’t slip through the gaps, whilst the toddler in the study merely imitated the adult without trying to adopt an easier way. Interesting to observe how this might be applied to the world of leadership development where trainers often follow the prescribed path laid out for them in accredited training programmes – this may be fear of losing our license or it may be that we are simply conditioned to imitate as Iriki proposes. There were great learnings, don’t get me wrong. I had enjoyed the process and to this day I have favourite theories and tools that are like old friends which I use widely in my work – but this acquisition of knowledge came at a price. The path I had chosen was not an easy one. Whilst weekends should have been for family, they became weekends full of negotiation – “if you take the kids whilst I study, I will cook for the rest of the week”. I offered empty promises in an attempt to gain leniency. I was lucky, most of my training was paid for by my employers including my psychology postgraduate, but even that came back to haunt me. My previous employers had agreed the funding for the course and then, in the second year, whilst I was on maternity leave, they attempted a unturn, pull the funding they said. When they realised that this was not a viable option and simply unkind they tried to undermine my considerable efforts by telling the rest of the team that they could not have any training because I had taken the entire training budget. This was divisive and resentment was, understandably, high in my team; but to be clear, the cost of the training I had incurred for that budget year was a mere £600 and this was a large corporate business who failed to be clear to my colleagues about the inconvenient truth as they saw it. I had not taken the training budget as they had suggested, they simply felt I had had enough training and enough was enough. Had my thirst for knowledge come to this? Was the very thing I loved the most (family aside) now starting to work against me? 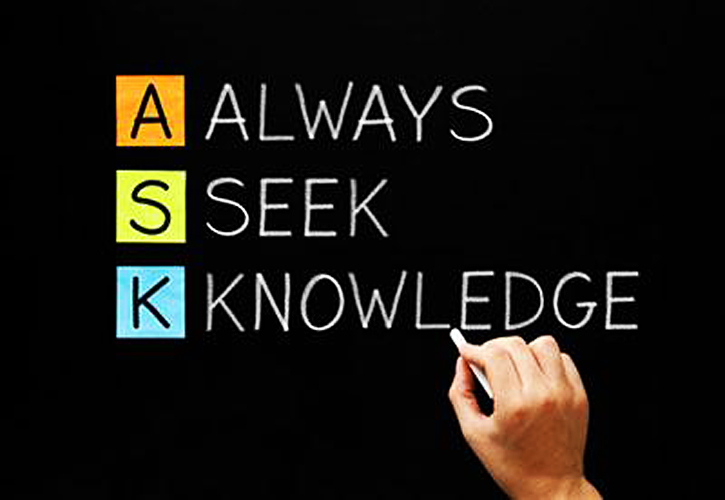 My need to acquire knowledge after all was fairly altruistic, I felt. 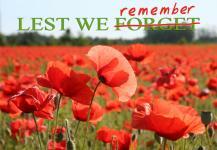 All I wanted to do was learn so I could impart this to others, a motive that holds true today. Then it all changed. I was, last week, introduced to the work of Marshall Rosenberg, amongst other topics, by Adrian and Sophie at a course we were co-running, and I was quite simply, blown away. The work, penned by Marshall in the 1960’s was, I felt, ground breaking yet simple in its application – and amazingly, I had never heard of it! Central to Marshall’s work is the idea that human beings have the capacity for compassion and only resort to violence or behaviour that harms others when they don’t recognise more effective strategies for meeting needs, and because we have learned to judge everything in terms of right and wrong. His theory aims to find a way for all present to get what really matters to them without the use of guilt, humiliation, shame, blame, coercion, or threats. It has multiple applications, it can help in resolving conflicts, connecting with others, and living in a way that is conscious, present, and attuned to the genuine, living needs of ourselves and others. It allows us to communicate without blame or judgement, and Marshall makes the bold claim that if you practise his philosophy you will never hear an insult again. You will know that the anger people present to you is a need in them which is not met, and once you identify that need you will be able to go beyond the conflict and create harmony. Sounds all too simple doesn’t it? But Marshall has used his process to great effect in war-torn countries, in marriage guidance, with children in schools and now with me. Honestly, it’s like the scales have been removed from my eyes and I can finally see. I have been looking for the knowledge that will fundamentally change the way I live my life and my need in undertaking multiple courses and gathering qualifications was, I now realise, for understanding and acceptance. The strategy I had adopted could not necessarily ever have met that need, and I had to find it for myself. So I may well have finally arrived and yes I have checked, they have courses that run frequently and my task for tomorrow…yep you guessed it…is to book myself on one. Old habits, as we know, are hard to break but that topic, I am quite sure, is for another day. 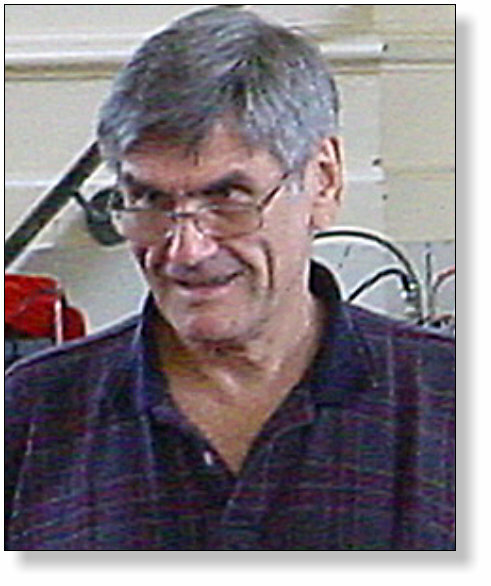 Photo of Marshall Rosenberg copyright Adrian West. Stop trying to change yourself Still in New Year Mode?